AgChemAccess are the leading independent agrochemical portal for generic manufacturers marketing Crop Protection products in Europe, India, the Caribbean, North Africa, Southern Africa, East Africa, CIS states and Australia. AgChemAccess offers its partners a range of products covering all major crops, substituting existing R&D products with generic alternatives where possible. AgChemAccess provides suppliers and customers an excellent level of market intelligence to ensure the best possible position maximising volume and profitability. 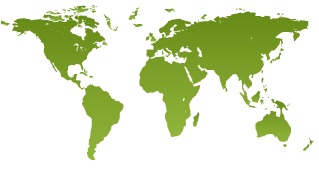 AgChemAccess has offices in Jersey, UK, Poland, Romania, Spain, Lithuania, Czech Republic, Portugal, and Hungary, Germany and Austria as well as Tanzania, Tunisia, Bulgaria, Serbia, Moldova, and Ukraine. AgChemAccess has marketing partners in North Africa, Southern Africa, East Africa, Australia, CIS, Serbia, and the Caribbean. AgChemAccess owns over 850 registrations across Europe and beyond. AgChemAccess continually requires new suppliers of generic products to position them within its expanding portfolio. AgChemAccess are able to supply virtually any agrochemical used on any crop worldwide. AgChemAccess can assist in registrations and the supply of technical active ingredients. Press Release - Nufarm & Pangaea sign Heads of Terms. AgChem have access to products all around world!